Community Participation and Volunteering – is it the secret to happiness? 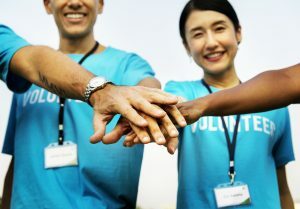 Researchers at the London School of Economics found that the more people volunteered, the happier they felt. Y ou may think adding another thing to an already busy schedule might add stress. Apparently that’s not the case when it comes to volunteering. Maybe it is the peace of mind that comes from knowing you are helping others or it is just that the hours melt away when your heart is fully immersed in an activity / group that you enjoy supporting. Whatever it is there is lots of evidence that volunteering is very good for your physical and mental health. You need to be clear with yourself what you want to get out of the experience. This might seem counter-intuitive; since isn’t volunteering is all about giving? 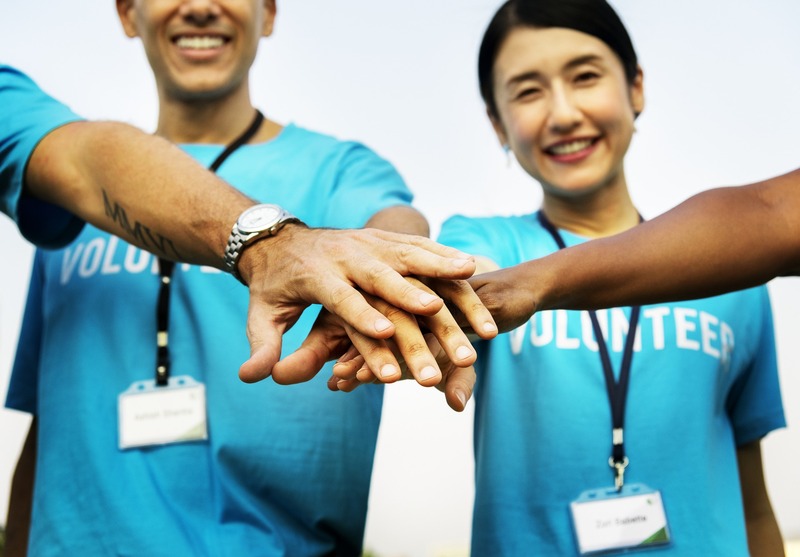 Well giving is at the core of volunteering, but many of us also want to get something out of our experiences volunteering. Perhaps you want to connect with new people in your community and make new friends or maybe you want to learn something new or get some hands-on experience in a new field. Also think about what you want to give – what skills and experience can you use and how much time do you have? A big mistake that we hear people make is saying that they “just want to get involved.” Well, in what way? Are you really good at writing and want to help an organisation improve on its communications. Or do you love hitting the streets and getting outdoors? Or perhaps you prefer helping out behind the scenes with things–tapping into your love for organising and straightforward tasks. The best way to volunteer is to match your personality and interests. Having answers to these questions will help you narrow down your search. Your passions should be the foundation for the time that you give. It’s only natural that we will care about one subject or cause and maybe not care so much about something else. That’s OK. We need to choose what is right for us. So if you are passionate about giving young people a strong future perhaps supporting one of our local youth organisations would be right for you. Maybe you love photography or film then what about the camera club or film club? Maybe think about joining as a participant or member first before offering yourself as a volunteer. This can help you decide whether it is right for you. Sometimes we feel so compelled by a cause or issue that we just want to throw ourselves in yet wonder why a few days or weeks down the road we feel a bit out of place. Knowing what you want to give, like knowing what you want to get, will allow you to determine whether or not the opportunity will be a great fit.